To understand Blanc, it’s worth knowing a little history about the company of Nintendo, particularly that of the late former company president Hiroshi Yamauchi, who passed away in 2013. Yamauchi was instrumental in Nintendo’s transition from being a playing card and toy manufacturer to their current position as a unique player in the video games market. He had a reputation for making bold, assertive and not always popular business decisions that inevitably turned out to be a good choice in the long term — there are many ways to describe him, but “the iron fist in the velvet glove” is one of my favourites I’ve come across over the years. How is this relevant to a short, flat-chested girl from a candy-coloured land of childish funtimes? Well, it’s primarily due to her personality; although her nation and its technological output is regarded to lead the way in family-friendly entertainment, Blanc herself is depicted as being rather similar to Yamauchi in a number of ways. She works quietly behind the scenes rather than being public about what she does, but she’s a shrewd, cunning and sometimes ruthless leader who stands behind her decisions, even if they prove to be unpopular at the moment they are made. This aspect of her is emphasised considerably when she transforms into her “goddess” form; her aggressiveness is amped up by a large degree, and she is depicted as being extremely hot-headed, foul-mouthed and angry. Not only is this an amusing juxtaposition with both the delightfully colourful nature of the nation she leads and the family-friendly image of real-world Nintendo, it’s also a good reflection of how Yamauchi was perceived and depicted, particularly with how harsh a critic he could be in the NES and SNES years. Yamauchi personally oversaw and approved the release of games on Nintendo platforms up until about 1994, which led to the company’s stance on licensing being perceived as somewhat restrictive, particularly towards small developers. But, particularly in the early years of the NES, when the system was struggling to revitalise a market that had crashed after so many low-quality games had been released on the Atari 2600 and its contemporaries, his strategy paid off, even if it stepped on a few toes in the process. Blanc is the same. While she has absolutely no qualms about being brutally honest with her friends and peers, particularly when in her White Heart goddess form, she may appear to be highly impulsive and aggressive, but her actions are still considered, and she only lets rip when she knows it would be practical — or even beneficial — to do so. 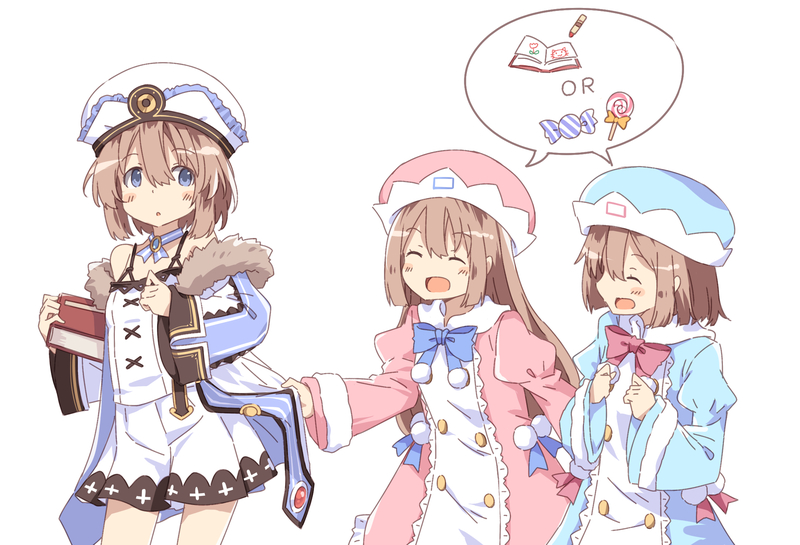 Blanc’s genuine love for her younger sisters Rom and Ram represents the care and attention that Nintendo has spent on its products over the years. While the Wii in particular may have played host to a wide variety of awful shovelware, few can deny that Nintendo’s first-party titles over the years have been consistently excellent, with very few missteps, and this is all because the company has always paid close attention to what it is doing. 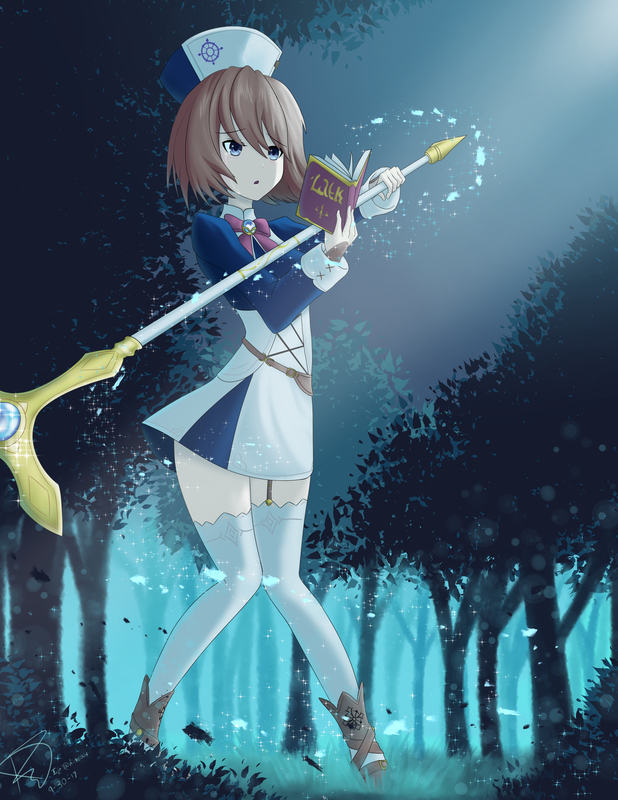 It’s the same with Blanc; she’s keen to raise Rom and Ram to be the best young women they can be, so she rebukes them when they misbehave, but also allows them both enough freedom to spread their wings a little when they need to — particularly important for the younger and more rambunctious of the two twins, Ram. 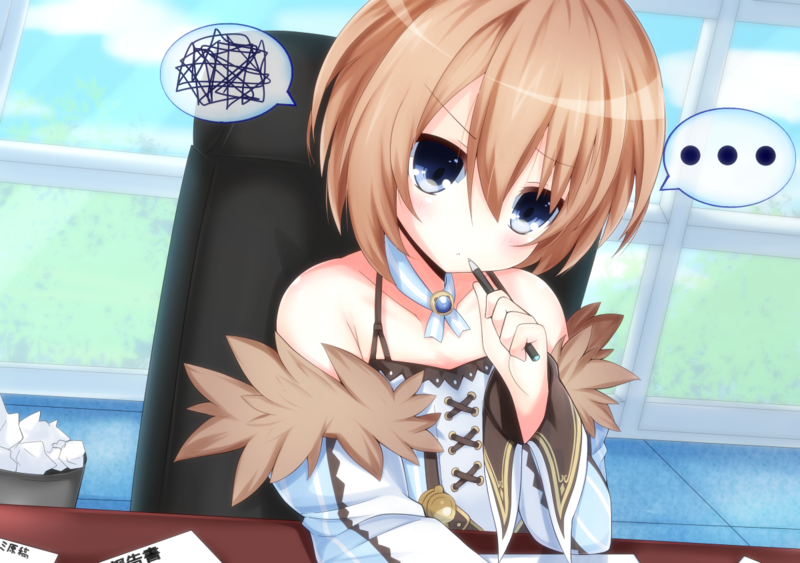 Blanc’s attitude is also used throughout the series to poke fun at a number of different things. One aspect of her that is frequently brought up throughout the series is the fact that she aspires to be a writer and, despite some apparent commercial success with her work, she might not be all that good at it. She’s also rather defensive and sometimes seemingly embarrassed by her work, too, mirroring those who are very invested in their own work and unable to accept criticism, even from those close to them. 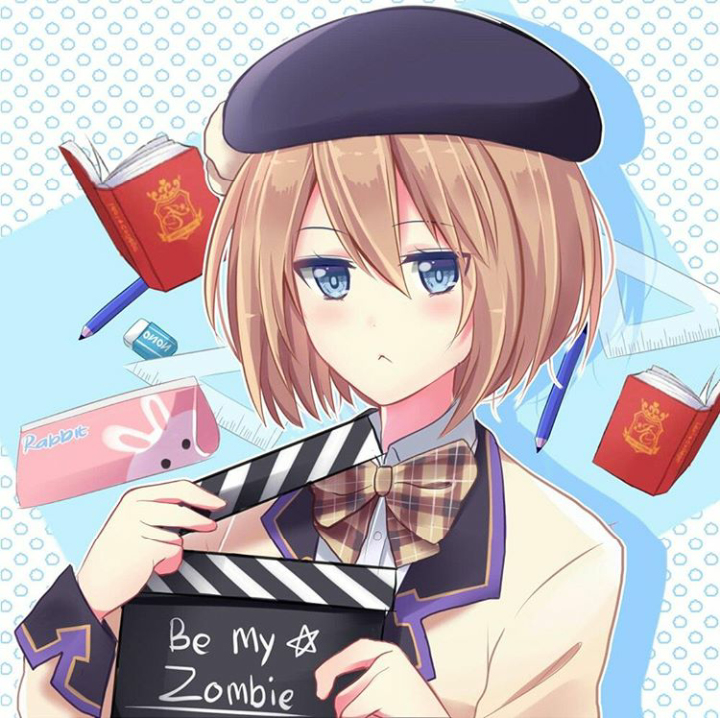 Her artistic tendencies are explored in somewhat greater detail in the spinoff game MegaTagmension Blanc + Neptune vs. Zombies, itself based on a series of spinoff light novels known as Choujigen Game Neptune High School. In Cyberdimension Neptunia: 4 Goddesses Online, she is used to lampoon the stereotype of players who take on the role of healers in massively multiplayer online games — contrary to what you might think, MMO healers can often be some of the most impatient, aggressive and intolerant players out there, perhaps in response to the fact that they’re the easiest person to blame when something goes wrong. Blanc encapsulates this attitude absolutely perfectly in Cyberdimension Neptunia, healing players other than her friends only begrudgingly and showing little patience for even her sisters when they start pushing through a dungeon at a pace that is too fast for her magic to keep up with. She was the ideal choice for the main healer in that game in terms of personality, and certainly a far cry from those who still mistakely believe healers are all mild-mannered, demure priestesses with soft and gentle voices. 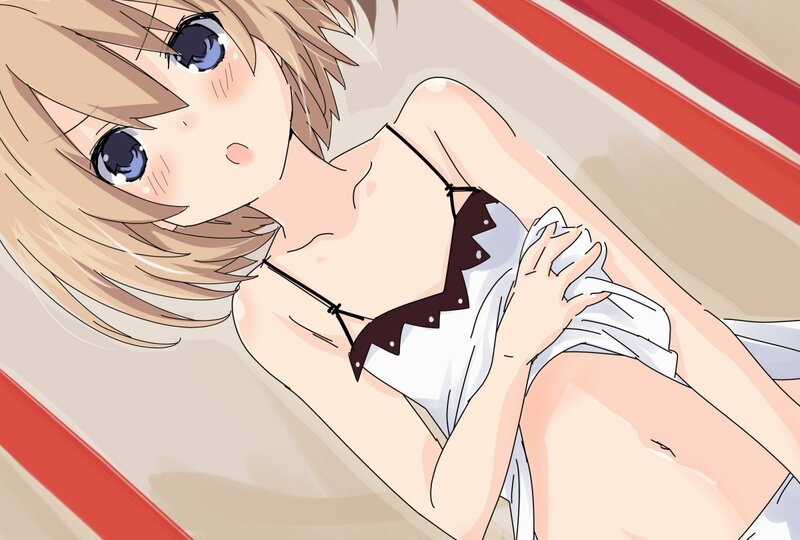 Blanc is an acquired taste for some. Her abrasive attitude can be offputting, particularly in her foul-mouthed White Heart incarnation, but beneath that attitude is a noble-hearted person who always does the right thing. She’s no tsundere like her counterpart from Lastation, Noire; she’s someone who is willing to fight for what she believes in, perhaps to a fault. And that’s why people love her! 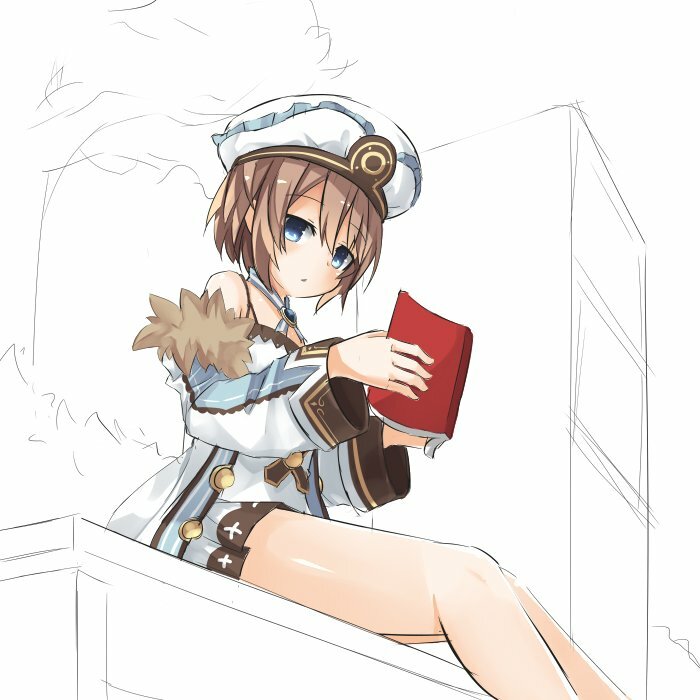 Blanc’s such a sweety…as long as you don’t make her mad. Neptune’s the only main CPU who hasn’t had a Waifu Wednesday post yet. Why? Do you not like her?